The dedicated team at Anthony Spink Dental Suite provides family dental care with a modern touch. All ages will find the services they need to show off a bright, healthy smile at our practice. One of our many solutions is root canal therapy, which can save your tooth from having to be extracted. When you think of the term “root canal,” you probably associate it with painful dental care. With our modern approach to dentistry, however, you’ll feel comfortable and know you’ll get through the procedure with ease. A root canal is an endodontic treatment, which means that it addresses the inside of the tooth. 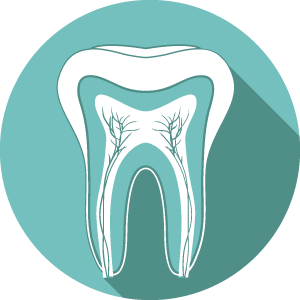 Each tooth is made up of a layer of enamel and a layer of dentin. Inside of that, you’ll find the pulp of the tooth that contains nerves, blood vessels and connective tissues. The pulp can become infected, however, which results in pain, inflammation and can spread if not promptly addressed. Most commonly, a root canal is necessary because of a deep cavity, a cracked tooth or a type of trauma. To determine whether a root canal is appropriate for your situation, we’ll give you a thorough examination. X-rays will likely be taken to locate the area of decay. Once we have decided to move forward, you’ll receive local anaesthesia so that you don’t experience any discomfort. The root canal procedure starts with a careful cleaning of the affected area, disinfecting it and sealing it off. The diseased pulp is cleaned out from the roots of the tooth. The root is then sealed off to prevent the infection from re-entering the tooth. If necessary, we can create a crown on the day that serves to strengthen and stabilise the affected tooth. Schedule your appointment with us today! We offer same-day visits for immediate attention.